morning. It is a day like any other. James, the eldest, is riding alongside her on his bicycle while she pushes the stroller. She glances away for just a moment. And in that moment her life is changed forever. Maura is surrounded by the help of loving friends and family, but it is quite obvious her life will never be the same again. 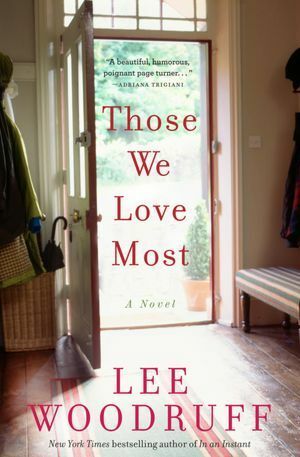 This intimate portrayal of Maura's relationship with her loving but tired husband, overbearing mother and duplicitous father leaves the reader quickly turning these deeply sad but honest pages. Their lives must go on (right?) but the many different paths that we take each day can change lives forever. As the family recovers (can you?) or at least learns to live with this new life, an endless battle of decisions confronts them. Trying hard here not to contain any spoilers, this novel is very very sad. It throws together some of the toughest issues and worst case scenarios that could possibly exist. Author Lee Woodruff smoothly takes the reader around each bend, there is not so much surprise as there is suddenly another burden to bear. Did I mention it was sad?